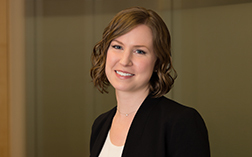 Shaina Johnson is an attorney in Betts Patterson & Mines’ commercial litigation and business and corporate law groups. Her practice involves representing and advising individuals and businesses on a wide range of business issues including the negotiation and proper documentation of business agreements, as well as complex commercial litigation. Representing the majority shareholder of a Seattle-based travel and tour company that operates ferry routes between Seattle and Victoria B.C. in a stock sale to a German company that operates 60 vessels in 12 countries. The transaction involved the simultaneous purchase of minority shares in the company and the sale of a vessel to comply with Jones Act restrictions on foreign ownership. Representing a commercial real estate investment company in a wide range of real estate and corporate work including: the purchase and sale of commercial properties including a complex option agreement for the sale of a medical office building, numerous commercial loan refinancing transactions, the liquidation of a real estate joint venture following the sale of a large commercial building, commercial leasing issues, major construction financing, and corporate governance issues. Representing the CEO of a Seattle-based multi-national technology company in negotiating a favorable severance package, press release, and non-competition agreement in connection with his departure. Representing the Pacific Northwest’s leading provider of industrial process control products and services in a number of substantial asset purchases. Representing individuals and estates in high-value residential real estate transactions and transfers. Advising a number of closely-held corporations and partnerships on corporate governance issues, stock transfers and redemptions, and amendments to their organizational documents. Shaina also represents businesses and individuals in complex commercial litigation involving contractual disputes, trade secrets and intellectual property, consumer claims, employment, real estate, and Uniform Commercial Code transactions. Represented a debt collection agency in a class action lawsuit alleging violations of the Fair Debt Collections Practices Act. The plaintiff sought significant statutory damages and attorney's fees. Judge Coughenour dismissed the suit with prejudice on summary judgment, ruling that the alleged FDCPA violations were "de minimis" at most and would not support liability. Defended an attorney against alleged violations of the Fair Debt Collection Practices Act and Washington's Consumer Protection Act. The action was consolidated with multiple other cases involving similar facts, leading to highly complex issues regarding discovery and motions practice. Following a successful motion to deny class certification that became the model for the other consolidated defendants' oppositions to the plaintiffs' ultimate motion for class certification, the case settled favorably. Defended an oil exploration company and its president against 11 causes of action brought by former investors, including breach of contract, securities fraud, breach of fiduciary duties, and violation of Washington's Consumer Protection Act. The case settled favorably shortly after the defense filed its summary judgment motion to dismiss all 11 claims. Represented a Bellevue private school in connection with an investigation of Bellevue High School's football program conducted by the Washington Interscholastic Activities Association. The firm prepared a comprehensive "white paper" refuting the challenges to the school's reputation and defended the school's director in a two-hour in-person interview conducted by the WIAA investigators. Represented the personal representative of an estate in connection with her claim that the fees charged by the estate's attorneys to settle her decedent daughter's personal injury claims were unreasonable. After a three-day bench trail, the court reduced the fees by half. Defended a landscaping company in a lawsuit arising out of tree-cutting work in which the plaintiff sought treble damages and attorney's fees under Washington's timber trespass statute. The case settled favorably. Defended a healthcare management technology company in a lawsuit arising out of a dispute over allegedly fraudulently transferred funds between third party entities involved in separate litigation. The complaint was dismissed following a successful motion to dismiss on the basis of lack of personal jurisdiction. Represented a medical clinic in a Telephone Consumer Protection Act class action involving a text message marketing campaign. The plaintiffs sought significant statutory damages and attorney's fees on behalf of the class. The case settled favorably. Defended a national tax firm and its employees in a lawsuit alleging breach of employment contract, conspiracy, and misappropriation of trade secrets. Following expedited discovery, a contentious preliminary injunction fight, and threatened appeal, the case settle favorably. Represented a doctor in the analysis of her non-competition agreement to successfully avoid litigation related to her change of employers. Represented an individual in a probate dispute regarding whether a court has subject matter jurisdiction of a Petition for Order Construing Will before a Declaration of Completion is filed where the personal representative has nonintervention powers. Shaina successfully advised the client in the best way to achieve his goals in the probate proceeding while avoiding unnecessary litigation and family conflict. Defended an architectural firm in litigation alleging breach of contract, negligence, and construction defects. Following substantial motions practice and several successful motions for summary judgment on the basis of the statute of limitations, the case settled favorably. Represented a national insurance company in litigation alleging breach of an employee confidentiality and non-solicitation agreement, tortious interference, and misappropriation of trade secrets. Following a successful preliminary injunction fight, the case settled favorably. The settlement included a stipulated judgment extending the preliminary injunction in the client's favor. Represented a national insurance company in litigation alleging breach of an employee confidentiality and non-solicitation agreement and misappropriation of trade secrets. The parties reached a favorable settlement. Represented an engineering and technology development and manufacturing company in litigation where a landfill gas purification facility sought a declaratory judgment and specific performance requiring the client to manufacture and provide complex nitrogen removal unit components pursuant to a contract with a third party. A summary judgment motion filed by plaintiff was successfully defeated following oral argument.